A space shooter video game made during AGDG 2017, for the "GAMES MADE QUICK???" game jam (https://itch.io/jam/games-made-quick). 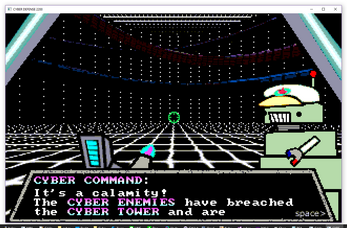 You fly around in your spaceship, shoot the evil CYBER ENEMIES, and hopefully do not crash too much. Controls are relatively simple and explained in game. Difficulty can be toggled by pressing 'p' on the menu screen. 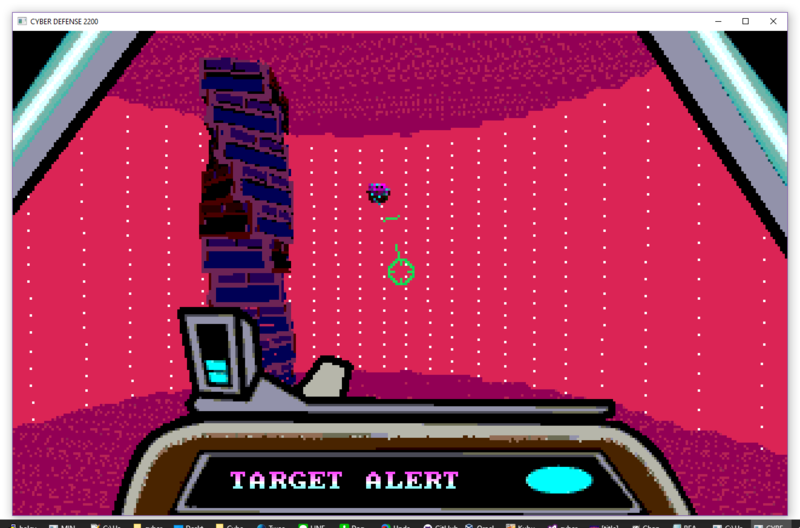 The normal mode is fairly hard, but there is cute robot art at the end if you manage to beat it! Screen zoom can be adjusted by pressing 'o'. Featuring a 4 song soundtrack of totally not recycled music, spectacular robo voice acting and Actual Cute Pictures! 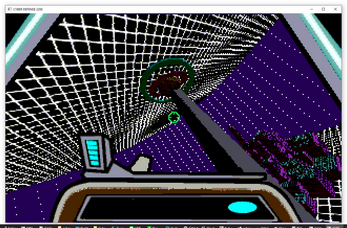 Fully software rendered (uses GLUT, but only to open a window), and thus, possibly not very fast on any given machine. Mostly fixed point math, and with 8-Bit RGB332 colour palette (the best palette). 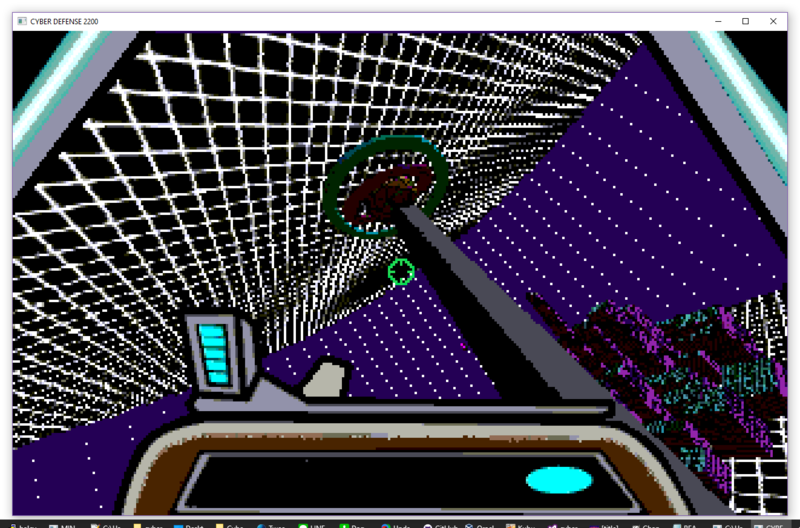 Rasterizer ripped out from what was originally a demo running on a microcontroller, and fixed up a lot. 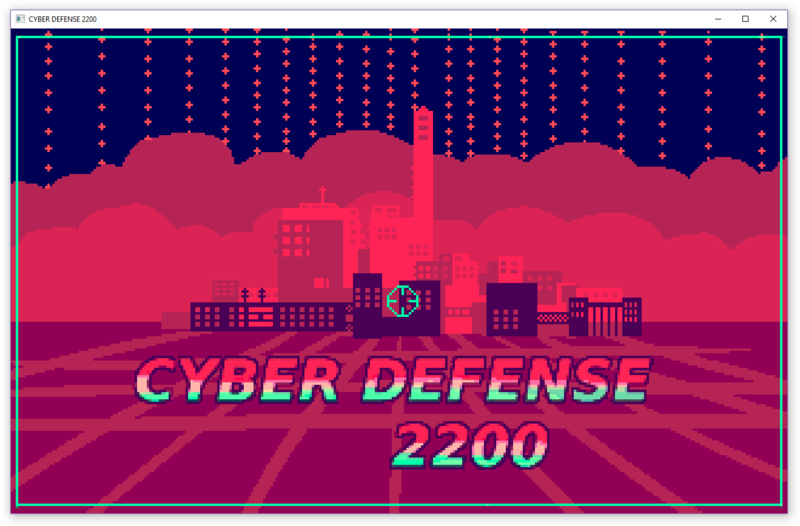 Release binaries for windows and 64bit ubuntu and possibly OS X can be found on http://halcy.itch.io/cyber-defense-2200 . 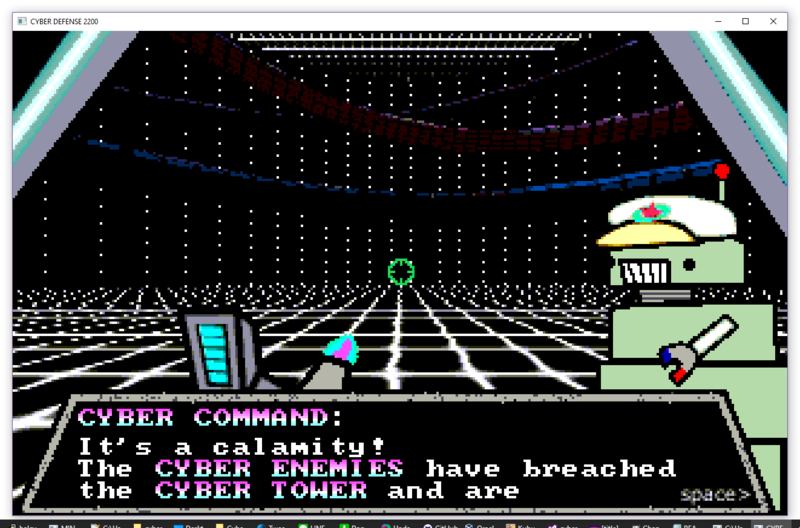 Version 1.2 features improved just about everything, a mac build (thank you, @alazyreader), some polish and cute robo voicing.